How to Book a Gig with Joel McDonald 4C-2 5:00 – 6:30pm Room closed 6:30 – 7:00pm VA Auditions with Joel McDonald 4C-2 7:00pm – 8:00pm And all of his Sunday events are canceled. OKAMOTOs have arrived at Sakura Con 18’! See you all at our concert tonight – Main Stage at 7PM. Don’t forget to grab your OKAMOTOs shirt and get it signed by US on Sunday at 11AM. Ticket holders will be emailed full details including the following information: Day Sunday April 1st; Check in is at 12; Event starts at 1:00pm; Location “Princessa I” at the Grand Hyatt. Regrettably, DJ guest TeddyLoid is unable to attend due to unforeseen and unavoidable circumstances. 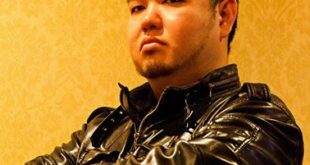 He sends his apologies to fans who were looking forward to his appearance and gives his best regards to Sakura-Con. Produced by the acclaimed studio BONES, this highly anticipated film features a brand new story with the original voice cast and staff from the TV series. Discover what happens when the Armed Detective Agency is threatened by an onslaught of unprecedentedly powerful enemies, and the city of Yokohama falls into a terrifying nightmare. Share a little, care a little. Give Blood! Our GOAL is 70 donors each day… To make an appointment online, please visit the Donor Portal. To schedule an appointment by phone and/or questions about eligibility, please call 800-398-7888. 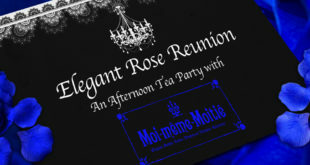 Moi-même-Moitié Tea Party tickets may be applied for beginning Monday March 12th and will be accepted until capacity is reached. You may apply via a link that will go live at this website. Tickets will be limited, so be sure to apply right away, don’t miss out!